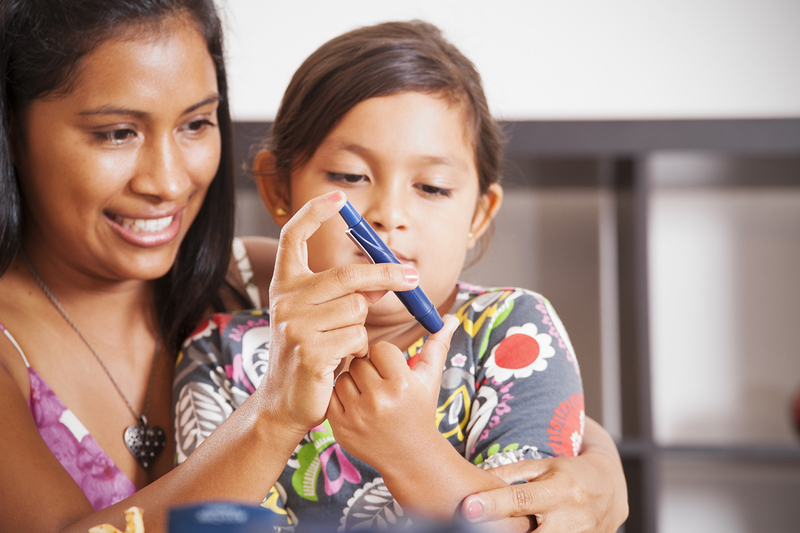 Your child may not know how to handle diabetes just yet, but that’s a great opportunity to help him or her out. By talking about the subject, you can both get a better understanding of how to manage various aspects of the condition. Once your child has good enough hand-eye coordination (normally between the ages of 7 and 10), let him prick his finger for the blood test. He has to be doing this for the next 50 or 60 years of his life, so he needs to be able to carry it out properly. This is a great opportunity to show your child how to choose healthy and unhealthy foods. The earlier you start the better since he’ll be choosing foods at school soon. Teach your child about the best foods for his condition, and about the ones to avoid. Even a small space can be transformed into a place for growing healthy fruits or vegetables. If you don’t have space, why not try going to a farm to pick fruit? Your child will learn the responsibility of looking after his own seeds and plants. Food is such a central part of diabetic management that it really pays to be able to know how to prepare and cook healthy food. Start with simple tasks like washing or scrubbing dishes, then move on to more complex things like mixing or measuring ingredients. Exercise is another key component of management and the earlier you get your child interested, the more likely he or she will maintain the good habit of looking after their body. It will do you good too! It can also help you bond and grow closer to your child. As soon as you think your child is capable of understanding the math behind it, start teaching him the basics of calculating doses for insulin, later teaching him to use the syringe (or whichever delivery method) correctly. This is a good time to show your child how to be better aware of his needs as a diabetic when traveling. Preparing insulin, food, and testing apparatus are important. It’s also important to prepare him for security measures at airports when carrying insulin equipment. Research has shown that one of the best indicators of success in later life was being assigned chores at age 3-4. The senses of responsibility, competence, self-reliance and self-esteem will grow and these simple tasks will undoubtedly help in later life. It’s true, video games can be beneficial for your child! Especially if he’s diabetic. There are some games specifically designed for kids like Packy and Marlon which have been shown to increase confidence and communication skills about their condition.